After much delay and postpone “Bidroha” the standard-bearer of Thrash Metal in Nepal finally released their much awaited full length album “Suffer Till Death” at the end of Novermber 2013. The album consists of 8 tracks and has the total runtime of around 32 minutes. 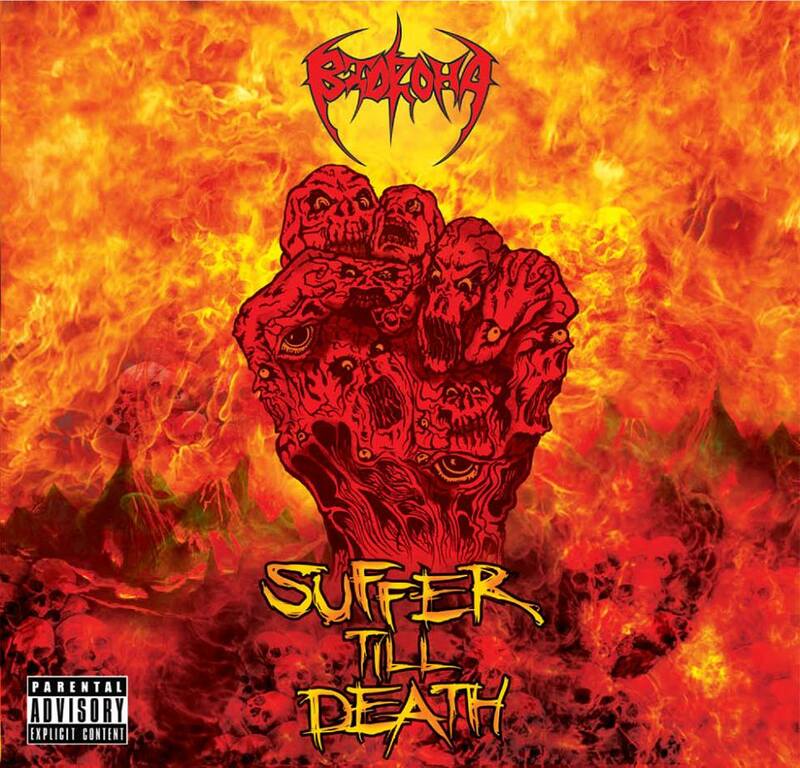 We are going to do a quick review of Bidroha’s full length album “Suffer Till Death”, without much track dissection. Bidroha is labeled as old school thrash metal, as their genre suggests – strong taste of old school thrash can be found in this release. The first two tracks in the album are Nepali songs titled “Samaj ko kaidi” & “Adhipatya nai ho danav ko”. “Adhipatya nai ho danav ko” is second part of previously released demo/single “Adhipatya ho danav ko”. Both of these songs sound different in beginning and most part of the lyrics are altered. As the song progress, they share common riff and outro. Track in the album “Broken Dream” starts with Metallica-esque clean guitar sound, as the distortion hits, Slayer influence can be noticed. The track also accompanies gloomy/doom sounds which perfectly matches with the lyrics of the song. Track “Suffer Till Death” which was released as single for promo for the album is one of the polished track. The title track is one of the much liked and notable track in the album. Song “Bidroha”, which appears in the album is English translation of previously released Nepali track “Bidroha”. The lyrics were translated from Nepali to English and musically both track share much commonness. Notable differences are – increased tempo in English version and alteration in vocal / singing style. Vocal in track “State of Mind” has the remarkable difference among the other songs of Bidroha. Musically it shares commonness with old school thrash. The album ends with Silverstone tribute “I’m Youth” which is another remarkable track in album and one of the track with different taste as it has some rock n’roll influence mixed with thrash. As of production, the album was mixed / mastered by Davin Shakya of Kalodin and production is decent considering the resources. As of drums, they were recorded in Rec Studio, Kathmandu. Influences of bands like Megadeth, Slayer and old school thrash can be sensed in the album but somewhere in-between, there is original “Bidroha” sound. As mentioned in “2013 Look back” the album is not reinventing any wheels for a thrash band but the album is definitely one of the remarkable release. Personally, I think everyone who is into Nepali metal scene should give it a listen. Thrash metal fans won’t be disappointed by this release.